In the final act of A New Hope, Darth Vader ominously intones, “Today will be a day long remembered…,” referencing the death of Obi-Wan Kenobi and the expected end of the rebellion. 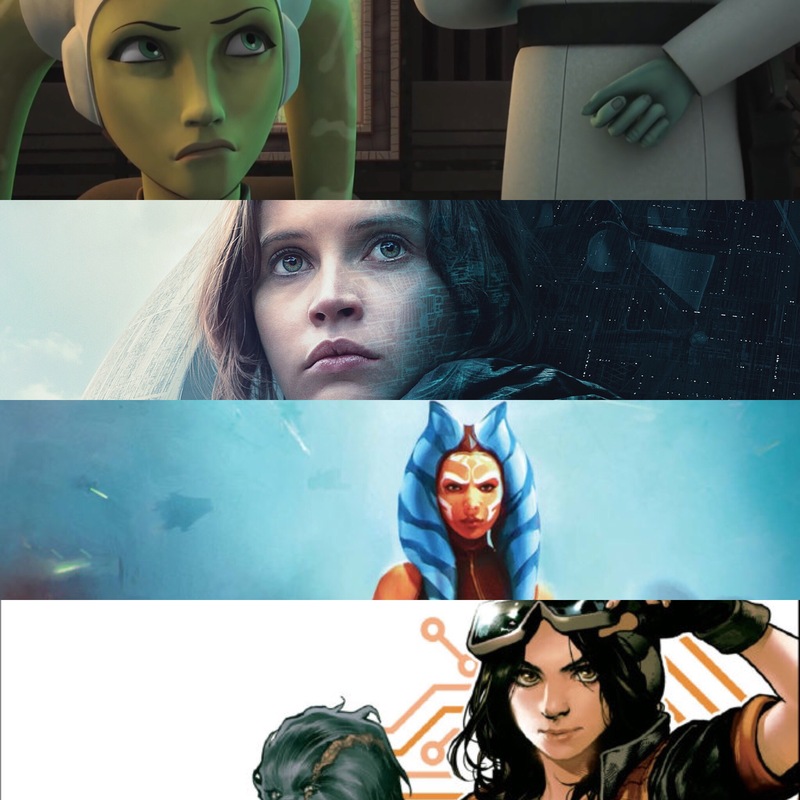 In a way, this second week of October should be a week long remembered, but not for the significant end of someone or something, but for the start of something else, the rise of women as prominent heroes within the Star Wars universe. True, Rey stole the show in The Force Awakens, Leia has always been a consummate hero of the original trilogy, and the animation wing of Lucasfilm has striven to empower their female characters from the beginning, but this week is a coalescing of the idea that women can be heroes unlike anything that have come before. It began on Tuesday, October 11th, with the release of Ahsoka by E.K. Johnston. 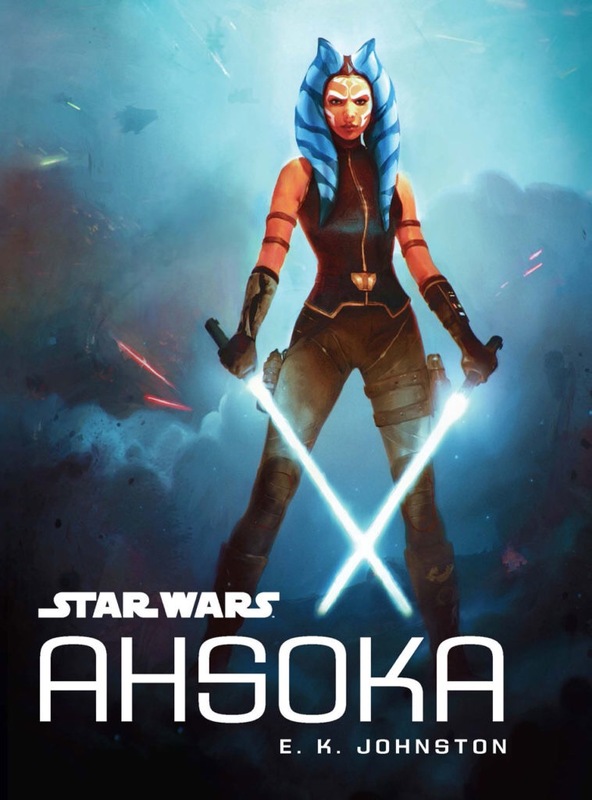 The novel, referential in title, is about the adventures of Ahsoka Tano after her departure from the Jedi Order in The Clone Wars television show and before her reappearance on Rebels. In The Clone Wars, which featured a number of strong female characters, Tano stood out as the main female character, one which viewers were allowed to watch grow up through the five seasons of the show she was featured on. She began as something of a just barely teenage brash and overconfident padawan, assigned to Anakin Skywalker, and ended as a young woman who questioned everything she had been lead to believe. The sensational season finale of Rebels’ second season centered around her confrontation with Darth Vader, where Tano went head to head against her former master, in part to save Kanan Jarrus and Ezra Bridger. As the most celebrated female Force user, Tano represented a new role model in the post-trilogy (prequel and original) era. That her success and popularity warranted a spin off novel is incredible significant and representative of the change occurring within those who create the content and those who enjoy it. Two days later, the second and final full trailer for Rogue One, was released. Both Rogue One and The Force Awakens feature a leading female protagonist, Jyn Erso for the former and Rey, for the latter. The difference between the two films, however, is that Rey’s importance in her film was not a selling point in the lead up to the release of Episode VII. Some would say it had to do with the secrecy swirling around her abilities as a Force user, others would more cynically declare that fears of a soft response to a female hero was the reason for Rey’s lack of headlining presence. Rey ended up being a big, if not the biggest star, of Return of the Jedi’s sequel and now features prominently on much of the post-release marketing. Jyn Erso, however, especially since the first teaser dropped last spring, has been front and center the star of Rogue One. So far depicted by Felicity Jones as a determined rogue turned soldier for the rebellion, Jyn Erso is truly the first female character given the opportunity to be the face of the film. 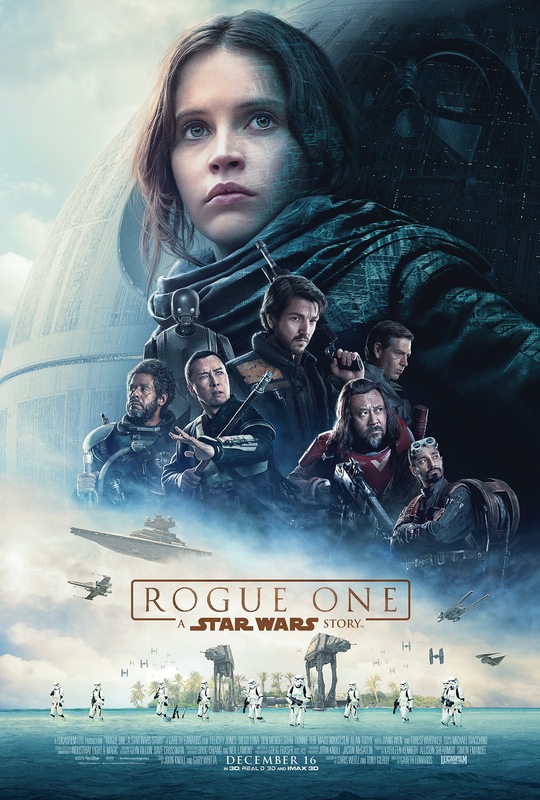 In a poster revealed prior to the trailer, Jones’ face looms large over virtually every other face (all men, it should be added) featured. This is important, because the powers that be have made the decision that the marketing success of a major franchise film is not balanced on the gender of its hero. For as much as Princess Leia is every part a rejection of the damsel in distress, she originally was never given the same heroic presence as Han Solo or Luke Skywalker. After all, at the end of A New Hope, she’s the one giving out the medals, regardless of the fact that she played an important role in getting the Death Star plans back to the Rebel Alliance and lead the escape from the Death Star. Now a woman is being allowed the central and critical role in getting those battle station plans from the very beginning and her heroic role is the main selling point of the film. The focus on a leading female hero has also transitioned to the small screen. On Saturday, October 15th, the latest episode of Rebels will debut, “Hera’s Heroes.” Beyond the obvious nod to Hogan’s Heroes, a comedy set on Allied soldiers contemplating escape from a German prison camp in World War Two, the title of the episode places the emphasis on Hera Syndulla. 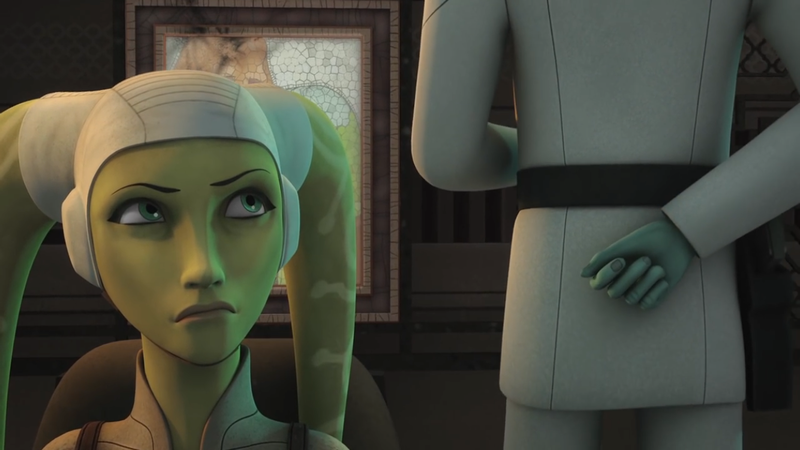 Since the premiere of Rebels, Hera, the captain of the Ghost, has been a well written, strong female character. Repeatedly placed in the role of leader, both figuratively regarding her crew’s acknowledgment of her wisdom and abilities, but also literally, being promoted to an officer’s rank in the rebellion, itself, Hera has quickly become one of the most heroic women on television today. Toss in the fact that Hera is a Twi’lek, an alien race with long tendrils on their heads, and she exists also as a stand in for a person of color, too. In a recently released teaser for “Hera’s Heroes,” we see her remain firm in the face of one of the old expanded universes’ most famous villains, Grand Admiral Thrawn, who in way, could be seen as mansplaining to her, her own background. To be fair to Thrawn, his lecture to Hera really falls into the category of a detective explaining the clues which lead up to a brilliant deduction, but in a way, Hera is allowed to stand in for all women who find themselves being told something about themselves that they very well already know. One of better aspects of Rebels is that this is not an isolated event, the writing of a great female character, and this moment from “Hera’s Heroes” is not surprising, either, but then we look at it within the context of this week as a whole and it’s something definitely worth admiring, and yet, Hera Syndulla isn’t the last woman to gain a spotlight this week. October 12th, a day after Ahsoka was released, the final issue of Marvel Comics’ Darth Vader was also published. The very successful series, twenty-five numbered issues in length (not counting an annual and special cross over issue), told the story of Darth Vader’s evolution from the sole survivor of the Death Star disaster (from the Empire’s perspective) to the Sith Lord who commanded the fear of all but the Emperor by the start of The Empire Strikes Back. Within that story was the introduction of Dr. Aphra, a rogue archeologist who served as Vader’s agent up until the moment when Vader no longer had a use for her. 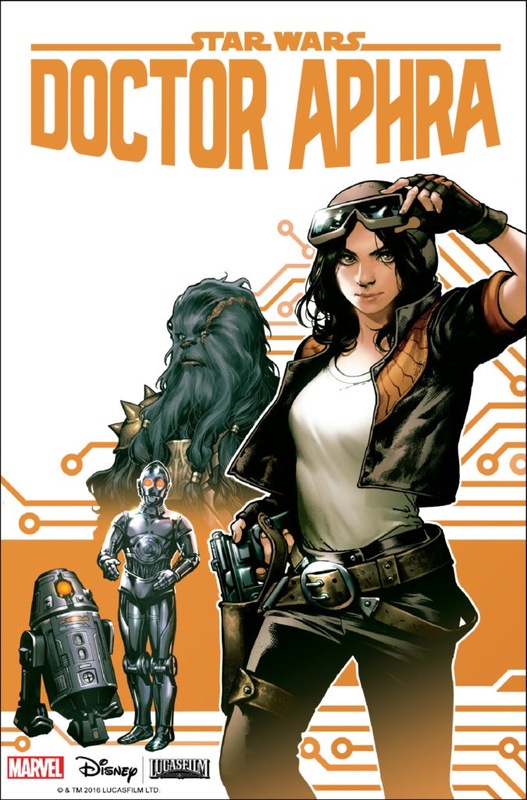 Aphra’s appearance in Darth Vader proved to be extremely popular, with her introductory issue (#3 for those curious) enjoying multiple printings to satisfy demands. While Darth Vader’s fate in the final issue was not in doubt, Dr. Aphra’s was, and it seemed, the most popular female character in current comics was doomed to die horribly in the series’ conclusion. Except, she didn’t. Not only does Dr. Aphra survive the wrath of Darth Vader, but on the same day, in an interview by StarWars.com’s Dan Brooks, Darth Vader writer Kieron Gillen announced his next major Star Wars project would be an ongoing series focused on Dr. Aphra’s exploits following her near death by Vader’s hand. To rephrase it, a woman character became so popular in a story about a male character, she earned her own story going forward. For Star Wars, this is virtually unprecedented. Undoubtedly, fan popularity for Aphra played a major role in Aphra’s survival, as Gillen stated that originally she was planned to die at the end of Darth Vader. In the same manner, fan popularity for Ahsoka Tano has been stated as a reason for Tano’s avoidance of death (sorta?) in the season ending episode of Rebels. In short, women characters in Star Wars are more popular than ever and the powers that be are taking notice. In this, the second full week of October, this phenomenon hit its highest point. On Tuesday, the 11th, Ahsoka is published, on the 12th, Dr. Aphra is given her own series, on the 13th, we get the final Jyn Erso centric trailer for Rogue One, and on Saturday, the 15th, Hera Syndulla will feature prominently as the heroic protagonist in Rebels. Never in such a short period of time, have women characters been allowed the spotlight in such a manner across four different mediums, film, television, books, and comic books. While the diversity within those who create the content remains a point where more women need to appear, on the end of this spectrum, the content itself, women in Star Wars have never been so popular, nor allowed the leading spotlight, be it as the hero or anti-hero of the galaxy far, far away, than this week alone. A week long remembered, indeed.